New Iberia, Louisiana is best known as the birthplace of the legendary hot sauce Tabasco. However, we now can call it the birthplace of "The Little Band Man". 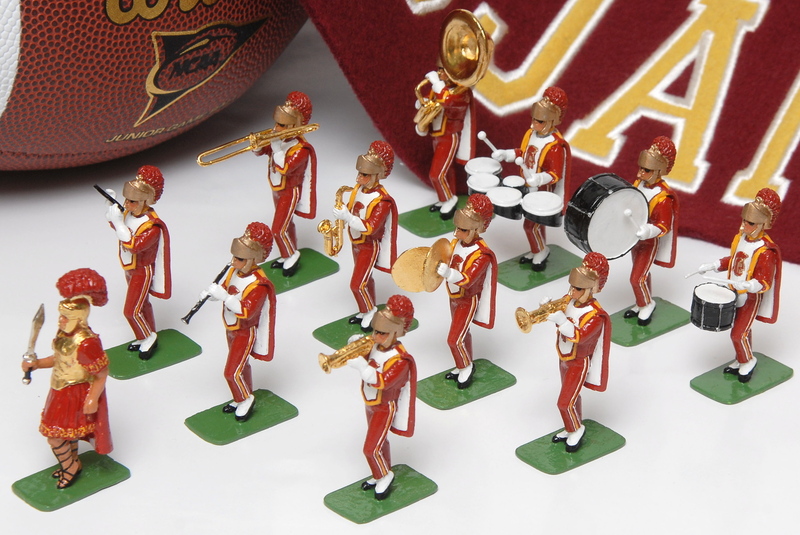 This little company is giving the city of New Iberia another reason to be proud and slowly making a name for itself as the home of the finest college band miniatures being sold in America today. 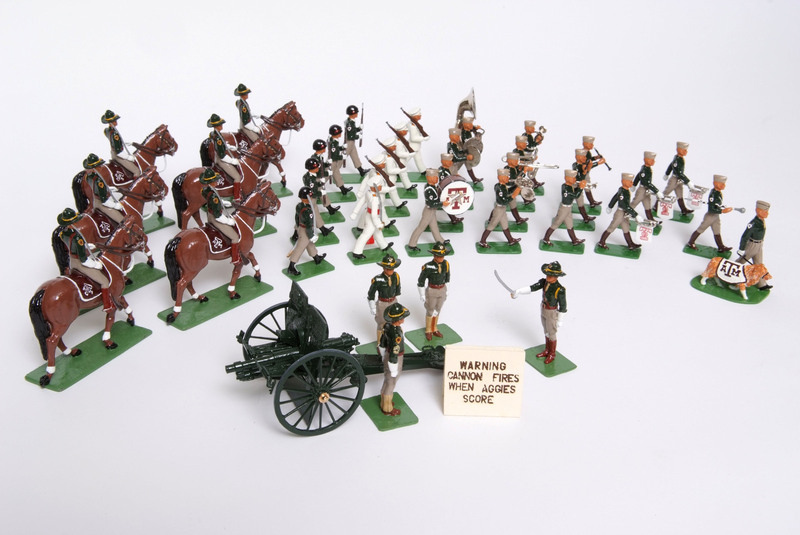 Like so many young boys growing up in Louisiana, Jady Regard was introduced to the world of toy soldiers by way of the classic Le Petit Soldier shop located in the heart of the historic French Quarter in New Orleans. It would be nearly 25 years later that he would buy his first toy soldier and begin to take a real interest in the hobby as a business. 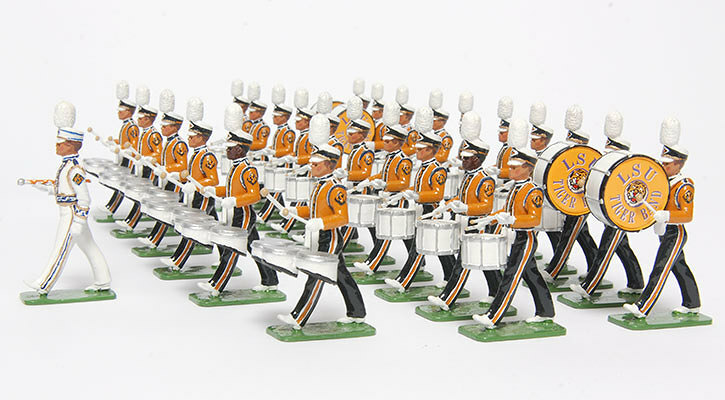 The Little Band Man Company began operations in 2003 when Regard decided to create a line of band miniatures after shopping for toy soldiers in Chicago. 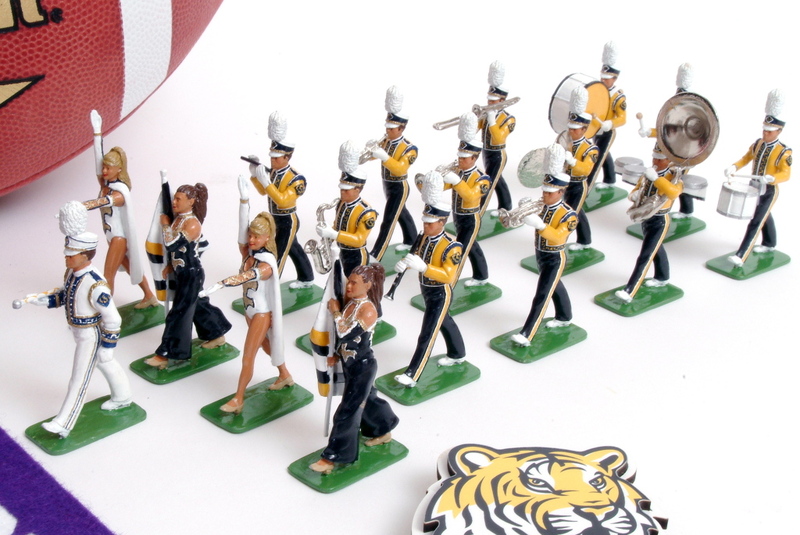 The idea occurred to him that college marching bands could be very popular as well. "I was surprised to find out that there was no U.S. company manufacturing such a product," Jady told us. 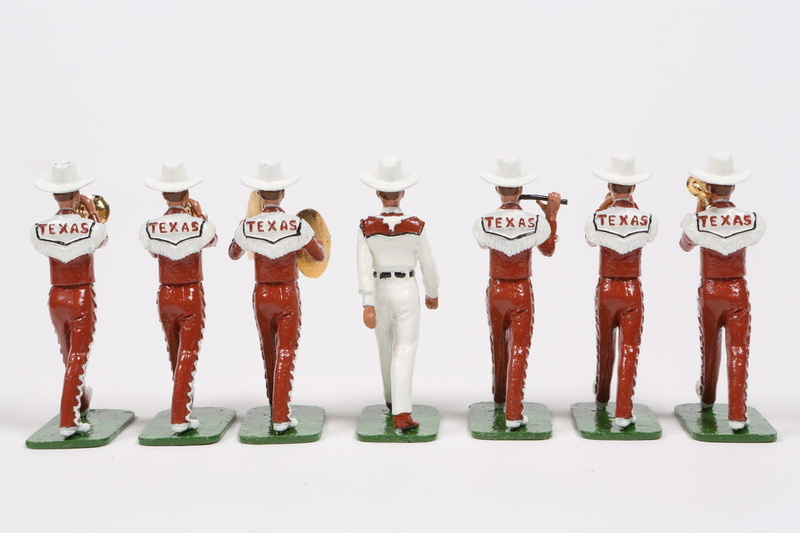 "The Fightin’ Texas Aggie Band was the first band we created and still today it is our best selling band." 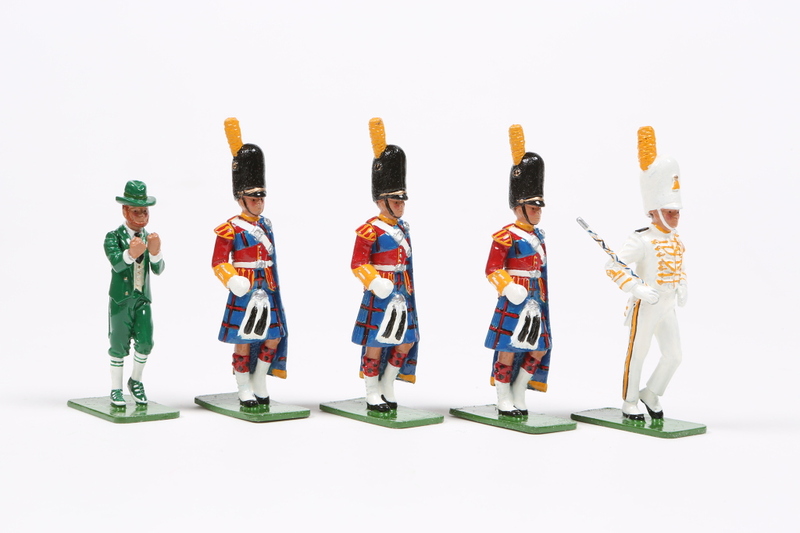 At a time when all you hear is how the toy soldier market is shrinking and new collectors are on the decline, The Little Band Man products have found a home with a totally new customer base, customers who never thought they would be buying miniatures. 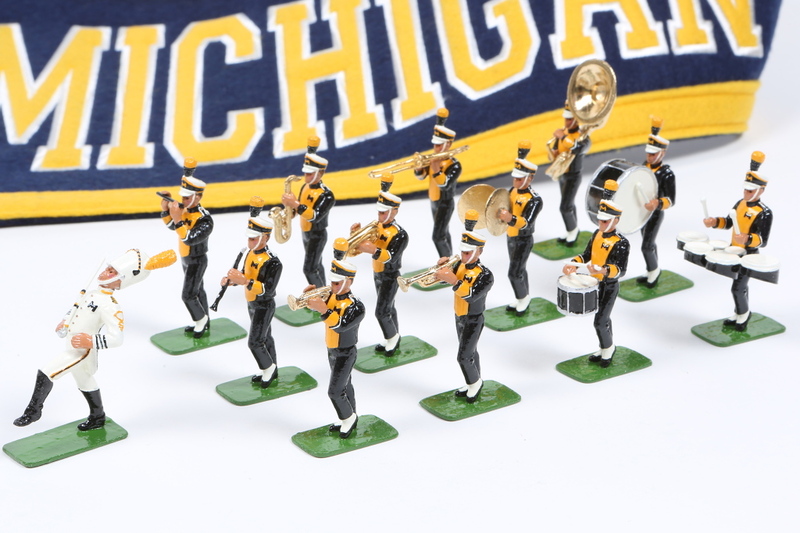 "I love college bands and wanted to create a product that not only appealed to toy soldier enthusiasts, but also to a whole new category of potential collectors from the gift market looking to buy a product that represented their favorite school," Regard explained. The master sculptor behind the Little Band Man line is England’s Martin Tabony. Tabony is a resident military historian and former six year member of The Life Guards, Senior Regiment of the British Army. 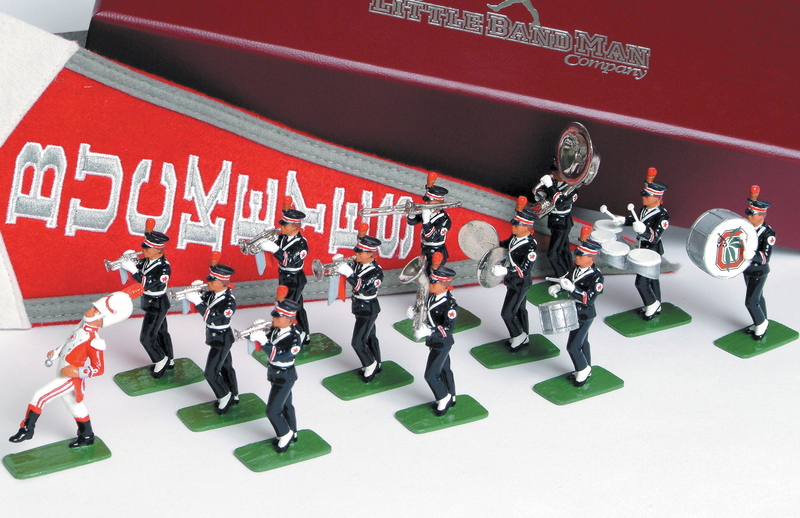 Casting, painting, assembly and packaging are performed by RP World Models in Nottingham, England making The Little Band Man line entirely English-made. 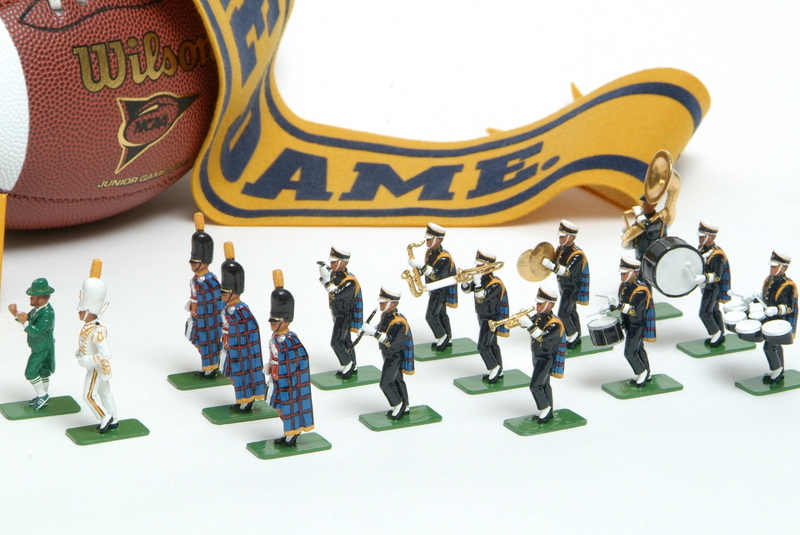 Prices for the bands range from $350-$395, depending on the number of figurines per band. The sets average around 13 pieces. Regard explained that many customers buy them as graduation gifts for their children whom were in band, Christmas and birthday presents or as something to decorate an office. 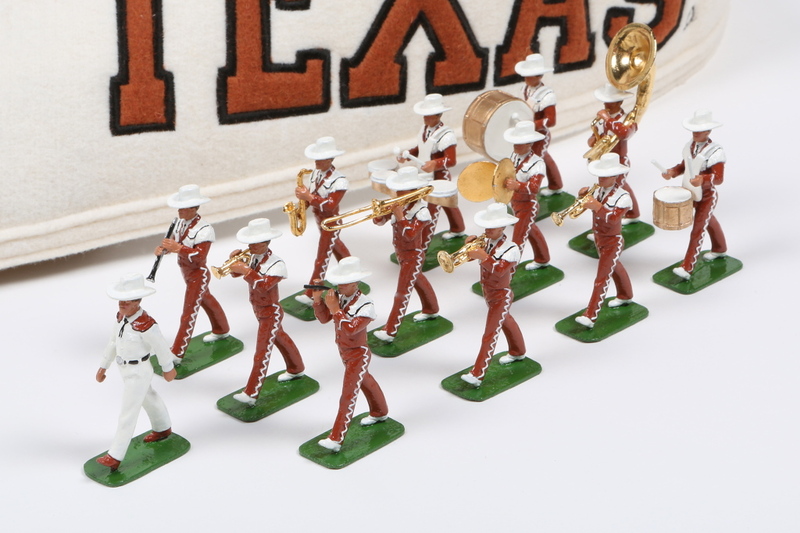 To date, Little Band Man has created versions of the Texas A&M Aggie Band, Texas Longhorn Band, Ohio State Marching Band, Michigan Marching Band, Harvard Marching Band, Notre Dame Band, LSU Golden Band from Tiger Land and the Spirit of Troy at USC. Regard plans to create a line for the service academies and Tennessee next. "We routinely make custom band sets and have made bands as large as 148 pieces in the past, " Regard said. "If you find yourself a fan of our line I would say keep posted, you never know when your favorite college band may make their debut!" Please visit www.littlebandman.com for more information or call Jady Regard at 337-321-4201.